Have you ever felt alone or forgotten? Or that those that help care for you have left you to fend for yourself? That’s how your equipment feels when left on the job site! You know how expensive it can be to lose equipment, and there are ways to ensure that it never happens again – with Water Restoration Software. Equipment tracking is an important tool designed to help you keep track of fans, dehumidifiers, ozone machines, or any other equipment that is regularly left on a job site while your crew is away. But you certainly don’t want to leave the equipment abandoned after the job is completed! Equipment Tracking allows you to easily pinpoint where every piece of your equipment is located – placed on a job, in the warehouse, on a truck, or otherwise. 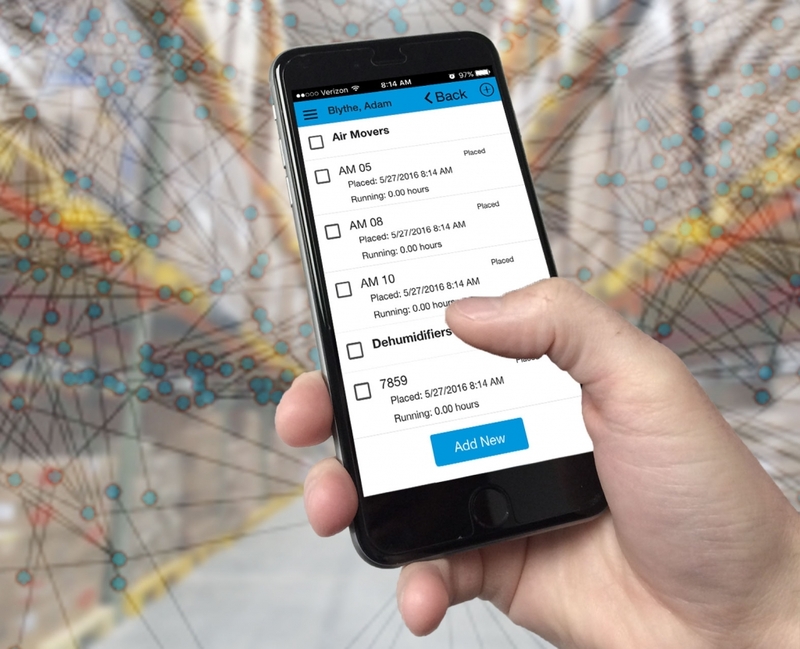 Crews can typically use their smartphone or a barcode scanner with most software solutions to quickly and effortlessly place equipment on a job, remove equipment from a job, submit for cleaning, pull for repair, and more. With ClientRunner’s full mobile equipment tracking solutions, you are never more than a click away from locating every piece of equipment in your inventory. ClientRunner software does all this, and more – with automated equipment tracking solutions. With every action on a piece of equipment, a note is recorded on the equipment record indicated whether it was placed, removed, moved to a “To Be Cleaned” status, cleaned and put back in rotation, out for repair, etc. Each equipment note is time and date stamped with the employee’s name, so there is full transparency and an effective audit trail every step of the way within the Water Restoration Software system. Even with automated systems, equipment can still unintentionally be left at the job site. ClientRunner makes every attempt to avoid such situations by halting any effort to close a job and alerting a user if equipment has not been removed from the job site. By ensuring that users are aware of such a situation, you can more easily manage equipment inventory and eliminate accidental equipment loss due to poor equipment management practices. ClientRunner cares for your equipment – don’t let it feel alone or forgotten. For more information on how ClientRunner Software takes equipment tracking to the next level with Water Restoration Software, visit our website!